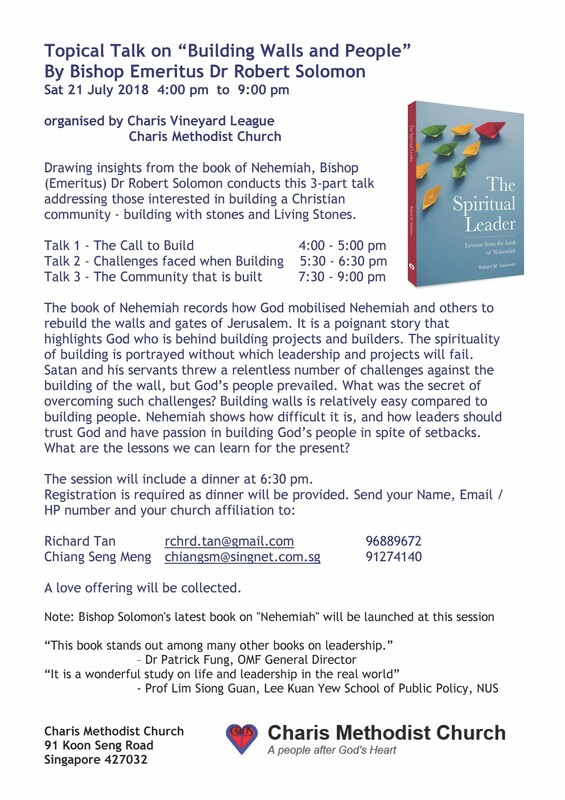 Drawing insights from the book of Nehemiah, Bishop (Emeritus) Dr Robert Solomon conducts this 3-part talk addressing those interested in building a Christian community - building with stones and Living Stones. The book of Nehemiah records how God mobilised Nehemiah and others to rebuild the walls and gates of Jerusalem. It is a poignant story that highlights God who is behind building projects and builders. The spirituality of building is portrayed without which leadership and projects will fail. Satan and his servants threw a relentless number of challenges against the building of the wall, but God’s people prevailed. What was the secret of overcoming such challenges? Building walls is relatively easy compared to building people. Nehemiah shows how difficult it is, and how leaders should trust God and have passion in building God’s people in spite of setbacks. What are the lessons we can learn for the present?